HVAC- heating, ventilation, and air conditioning- It is a system that provides different types of heating and cooling services to residential and commercial buildings. Its function is to provide thermal comfort, humidity control and acceptable indoor air quality. The majority of home and smaller commercial air conditioning systems circulate a compressed gas refrigerant in a closed “split” system to cool and condition inside air. The refrigerant has to be re-cooled and condensed, and outside air is the medium most often used to accomplish this. The term “split” simply means that components are divided into inside and outside portions as opposed to being located together in a “package” unit. The refrigerants, widely recognized by the trademark “freon” (which is a registered trademark of the DuPont company for refrigerants), helps cool and dehumidify the inside air. In a “forced air” system, an internal blower circulates the conditioned air through ducts to the rooms where the cooler air is needed. The air ducts generally run either below the ceiling and inside the rooms (conditioned air) or in the attic (unconditioned air). An outside fan pulls air across the external parts of the system to cool and condense the refrigerant. ENERGY STAR is a program that was created by the US Environmental Protection Agency (EPA) to help businesses and individuals make energy efficient purchases. This program places the ENERGY STAR label, a small blue and white logo, on items that meet superior energy efficiency standards. This label provides an easy way for consumers to identify quality, high-efficiency products. What manufacturer makes the best air conditioners? Air conditioning is a matured technology so most of the popular brands work well. Many of them use parts made by the same manufacturers. So, the main considerations are the price, warranty, attractiveness, noise, etc. Some manufacturers offer anywhere from a 10-12 year warranty on all parts while others offer only 1 year. Whatever you decide, the most important consideration is the contractor you use. For your protection, make sure you use a licensed contractor for your installation. A licensed contractor using best refrigerant practices and procedures can save you time and money! You may buy the best system in the world but if it is not properly installed, you will actually be buying nothing but a big headache for years to come. What are the benefits of air conditioning? The benefits of air conditioning are to give a comfortable environment at work or at home throughout the seasons, Spring, Summer, Autumn and Winter. An Air Conditioning unit can have two functions – heating/cooling and humidity control. With an auto changeover switch on most new units, you set the temperature and the unit will cool or heat as required automatically. What is the average life of a system? Most systems have a lifetime of 10 to 15 years, with gas furnaces lasting 20-25 years. As your equipment gets older, its efficiency can decrease dramatically. You may notice that it gets noisier and needs repairs more often. If you live near bodies of water or the ocean, your system's life expectancy may be drastically shortened due to the harsh environment. If your system is over 10 years old, you should have your system checked for maintenance or replacement. A Heat Pump is an all-in-one heating and air conditioning system that works year-round to keep you comfortable. During warmer months, a heat pump works as a normal air conditioner. It extracts heat from inside the home and transfers it to the outdoor air. In colder weather, however, the process reverses—the unit collects heat from the outdoor air and transfers it inside your home. Even when the air outside feels extremely cold, the air still contains some heat. The heat pump pulls the heat from this cold outdoor air and sends it inside to warm your home. When there’s not enough heat in the outside air to meet the demand of the thermostat setting, an electric heater supplements the outdoor air to warm the home. Extremely efficient, this process produces two to three times more heat than the energy it uses. However, keep in mind, if you do not use much heat and you are thinking about replacing your system, a heat pump is more expensive to purchase up front and you will only receive a return on the heating portion of your investment when the system is in the heat mode. Additional electrical requirements may also come into play when switching to a straight cool/electric heat system. An air handler is usually a large metal box containing a blower, heating or cooling elements, filter racks or chambers, sound attenuators, and dampers. Air handlers usually connect to a ductwork ventilation system that distributes the conditioned air through the building and returns it to the AHU. In some instances, with a ductless mini or multi-split the air handler may NOT require a duct system at all, therefore the name, ductless. BTU stands for British Thermal Unit, this unit of measure is used to measure cooling or heating capacity; 1 BTU is the amount of heat required to raise (or lower) the temperature of 1 pound of water 1 degree Fahrenheit. There are 12,000 BTU's in 1 Ton of Cooling. SEER stands for Seasonal Energy Efficiency Ratio. It measures air conditioning and heat pump cooling efficiency, which is calculated by the cooling output for a typical cooling season divided by the total electric energy input during the same time frame. A higher SEER rating means greater energy efficiency. How Can I Tell If My Heating System Is Working Efficiently? When you schedule your regular maintenance visit with a qualified heating technician, they will test your system to make sure it is running at optimal levels. But there are some ways you can determine whether or not your system is working efficiently on your own. Abnormally high heating bills are one of the indicators that your system is running at low efficiency levels, but keep in mind that how well your home is insulated and sealed and whether your filters are clean will also play a role in heating costs. You can also tell by how warm your house stays throughout the winter. If some rooms are colder than others, or if you find that you are turning up the thermostat more often, your heating system may not be running very efficiently. Check your thermostat setting. Is your heating system achieving the desired temperature setting you are requesting on the thermostat? If not, call one of our HVAC professionals to inspect and test your heater. Should I repair or replace my system? How old is your system? If your system is more than ten years old, it may be wiser to invest in new, higher efficiency equipment, which could cut your energy costs by up to 40%. What is the efficiency level of your current system? What was the efficiency when the system was new? Unfortunately, replacing parts of your old system will not improve the efficiency. If the energy savings of using a higher efficiency system will cover all or part of the cost of investing in new equipment, you should seriously consider replacement of the old system. What is the overall condition of your system? If your system is in solid condition, it could be wiser to simply repair it. But if your system breaks down often, you should consider replacing it. Consider the 50% Rule. The 50% Rule- If the cost of repair vs. replacement of your system is less than half of its value and you haven't been suffering the financial burden of frequent service calls to keep your system up and running, repair may be easier on your checkbook . Ask your technician to calculate the efficiency and energy usage of your system to help make a determination. Putting a new system in a home that has not had central air and heat before will require the installation of ductwork, insulation, refrigerant piping, electrical service, wiring, thermostat, condensate piping, flue piping, flue terminations, chimney liner, slabs, filter, driers, registers, grills, drain pans and evaporator coil. Beyond equipment, the most important component installed with a new system, however, is the duct-work. Duct-work is composed of two parts, supply and return. Supply duct is attached to the outflow of the new system, delivering air to each zone in a home. The amount of air reaching each zone is determined by the size of supply duct-work connecting it to your system. Your dealer will help you determine the size of all the supply duct-work in your home. The second part of the duct-work, the return duct, attaches to the inlet of the new system and draws air out of the spaces to be heated or cooled. Attached to the return duct is the filter. The filter should be placed as near to the furnace or air handler as possible. Duct-work can be either fiberglass or metal and must be properly sized in order to evenly distribute the proper amount of air to each room. What makes up a ductless mini split system? A ductless mini split system is composed of an indoor air handler/evaporator (fan coil), and outdoor condensing unit and an approximate 2.5-3" conduit that accommodates the power (wiring), refrigerant line sets and a PVC condensate line (drain). s an indoor fan, referred to as the head, and an outdoor compressor unit. Many styles of air handler/evaporator (fan coil) are readily available depending upon your projects needs. Ductless units can be either 1:1 Single mini-split systems or Multi-split systems that can heat/cool multiple rooms. How Does a Ductless Split System Work? Ductless split systems can replace a traditional central ducted system or be used in addition to a central ducted system. It works in much the same way as a traditional air conditioner or heat pump, using an outdoor condensing unit, indoor air handler/evaporator (fan coil) with an outdoor condenser, attached to refrigerant line sets and a condensate drain line. The condenser is installed outside the home or business typically on a code approved surface. The conduit is then run from the outdoor unit to the individual room within the structure that you choose, even an attic or garage. Depending upon the system design, the use of wall-mounted interior units, ceiling mounted units, recessed fa coils, floor mounted air handlers are then installed and secured in the appropriately desired spaces to control cooling, heating and humidity as needed and designed. One or a series of indoor units and refrigeration lines are used to transfer the cooled air from the outdoor condenser to the indoor units of your choice. It works in reverse with heated air in the winter. Units can be placed in any rooms you like and because each unit is individual, you control the specific temperature in that room instead of needing to set one thermostat for the entire house. As a result, you save money by cooling or heating only the space you are using. One of its greatest advantages is TRUE ZONING! Can I install a ductless mini split system myself? Installation of a ductless mini split air conditioner is more complicated than a window unit but far less complicated than installing a central air conditioner. But, don't let that fool you. Ductless systems are very sensitive pieces of equipment and are quite unforgiving when mistakes are made. Small mistakes lead to HUGE problems with ductless systems. It is always best to have any AC system installed by licensed, trained professionals. Homeowner installations and using unlicensed individuals most often will void the manufacturer warranty on your new investment. Call us for a certified installation with one of our manufacturer trained technicians – we will make sure that the installation was done correctly. We will evacuate, pressure test, perform a thorough vacuum and charge with your system with refrigerant as needed for your particular installation followed by start up and commissioning reports on your system. How noisy is a ductless mini split? In general, the sound generated by a ductless air handler (sometimes referred to as a head) is equivalent to whispering in a library (between 21 and 30 decibels). The sound from an outdoor unit is more like normal conversation (60 decibels) but is less than a conventional air conditioning condenser. Why do I blow fuses or why does my circuit breaker trip for my AC system? Fuses and circuit breakers should not blow or trip. Check the breaker in your electrical service panel to identify which areas in your home/office the tripped breaker supplies service to. Check to see if the breaker feels warm to the touch. (NEVER touch wires or wire connections in your service panel. High voltage is present) Breakers should not be warm or hot to the touch. In the event the breaker is warm/hot to the touch, this could possibly be an indicator of a weak breaker. Contact a licensed electrician. Should the breaker feel ok to the touch, you could try to reset the breaker or replace the fuse. If the breaker or fuse trips/blows again, you will need to contact a licensed AC contractor like ourselves to diagnose the problem safely and correctly. There could possibly be an issue with a loose electrical wire, the unit could have shorted to ground, or the compressor could have failed. Electricity is nothing to play with- ALWAYS use a licensed electrician or AC contractor as indicated. How do I reset my breaker when it has tripped off? First, disconnect any additional devices that may have caused the breaker to overload and trip. Breakers are mechanical devices and must be turned all the way off before turning back on. Remember this is a mechanical device, so this may require several attempts. If this fails to reset the breaker, or the breaker feels "Sloppy" when resetting, there may be a more serious problem. Call a licensed electrician. When my air conditioner cycles on, I notice my lights blink. Is this normal? Yes. This is a common occurrence when large motor/compressor loads start. These devices cause a minor momentary voltage drop, demonstrating itself as the blinking in your lights. This has no negative effect on the electrical equipment within your house. My smoke detector keeps chirping. What does this mean? This could mean one of two things. 1. An intermittent chirp is probably an indication of a defective smoke detector. 2. A consistent chirp is probably an indication of a low battery condition and the smoke detector requires a new battery. Furnaces are rated by the Annual Fuel Utilization Efficiency (AFUE) ratio, which is the percent of heat produced for every dollar of fuel consumed,or how efficiently a furnace converts gas into heating energy. Its AFUE rating is measured as a percentage. Like the miles-per-gallon rating on your automobile, the higher the AFUE rating, the lower your fuel costs. An AFUE of 90% means that 90% of the energy in the fuel becomes heat for the home and the other 10% escapes up the chimney and elsewhere. According to the EPA- AFUE doesn't include the heat losses of the duct system or piping, which can be as much as 35% of the energy for output of the furnace when ducts are located in the attic, garage, or other partially conditioned or unconditioned space. All furnaces manufactured today must meet at least 80% AFUE in the south and 90% AFUE in the North. If your furnace is 10 – 15 years old, it very well may fall below the current furnace minimum and waste energy- costing you money. This doesn’t mean that you should only select a furnace based on its AFUE rating. The efficiency rating is just one factor to consider when looking for a new furnace. When Should I Replace My Heating System? There are a few obvious signals that let you know when it’s time to upgrade your heating system. Frequent repairs, recent spikes in utility bills, and inconsistent temperatures in the home are a few warning signs that it’s time for a new heater. But if you’ve had the same heating system for twenty years or more, it would be a good idea to talk to an HVAC contractor about having it inspected to determine if it’s time for a heater replacement. Even if your old heater has worked without problems for years, a professional heating technician is trained to detect any possible operation or safety issues that are a direct indication that the system needs to be replaced. If you are concerned about your heating costs, you should talk to a heating professional about other options. Call us now to schedule your system's check up! How Do I Know What Type of Heating System Is Right For Me? Hiring an HVAC contractor for professional advice is the best approach when you are in the market for a new heating system. Different types of heaters work better in some climates than others. Also, you would need to consider the available utility services in your area. Not all areas offer Natural gas or propane. Likewise, not all homes have sufficient electrical requirements to change from a heat pump to electric heat. Upo completion of a series of quick questions and a survey of your home or business, our Comfort Consultant can assist you in choosing a system that meets your heating needs. Give us a call and let's get started! Furnace technology has advanced significantly in recent years. Modern furnaces are designed to provide more even and efficient heating than past furnaces, which can impact both how your system operates,sounds and what you notice about your system. To better regulate temperatures and airflow, modern furnaces move more air over the heat exchanger than older furnaces. The air that comes out of your furnace registers may not seem as warm as the air from your old furnace, but overall airflow is improved. Better airflow means higher comfort. Also, new furnaces are designed to integrate with high-efficiency air conditioners, so furnace blowers are more powerful to accommodate add-on cooling. Since cold air is much heavier than warm air, your system needs an extra boost from the blower to deliver cool air throughout your home. If you have an older home, this performance boost could produce unfamiliar sounds because air duct systems were originally designed for heating only. To minimize sound levels, choose a variable speed product which automatically changes speeds to meet the airflow needs of both heating and cooling cycles. How Often Does My Heating System Need To Be Serviced? It’s recommended that you schedule a maintenance service visit once a year with a licensed HVAC technician. This will prolong the life of your heating system and keep it running safely and efficiently throughout the cold season. A qualified heating technician will thoroughly clean and inspect all of your heater’s components and make any necessary repairs or adjustments. Not only does this ensure that your heater is performing at optimal levels, which helps to save on overall heating costs, but it also allows the technician to address any major problems or safety concerns. What is the purpose of a furnace filter? You may not find the filter in your home or business to be very important, but you should! There are actually 3 ways air can get filtered-1) through your AC filter, 2) it will get filtered through the AC coil and 3) it will get filtered again through YOURS and YOUR FAMILY'S lungs! Furnace manufacturers put inexpensive fiberglass filters into their furnaces to remove airborne particles that might damage the fan and the heating coil. Particle buildup can also decrease the efficiency of your furnace, as the furnace has to work harder to pull air through the return. More expensive filters can also improve the air quality in your house by removing pollen, bacteria and mold spores from the air. Don't let YOUR lungs be the filter for your air conditioner! Use the maximum efficiency filter designed for your system.This is especially important if you or someone in your family suffers from allergies or respiratory illnesses. If you do not know which filter that may be, then just ask us, we will be glad to point you in the right direction! How do I determine which filter to buy for my particular model of furnace? Check the documentation that came with your furnace for filter size information. Consult with our factory trained technicians regarding the efficiency of the filter needed and whether that efficiency is compatible with your furnace's unit. Too high an efficiency, in some models, can cause too high of a static pressure for the motor and can cause premature motor failure. Do I have to use a filter that is manufactured by the same company that makes my furnace? Generally you can buy your filter from any source. Check with a filter vendor or the documentation that came with your furnace to be sure. However, ductless filters currently are O.E.M. (original equipment manufacturer) parts and are not available generically. What is a high efficiency filter, and do I need a high efficiency filter if I have a high efficiency furnace? How often do I need to change my furnace filter? Check the documentation that came with your furnace. Recommendations vary based on a number of factors: the type of filter that you use, how many pets you have, whether anyone in your home has allergies, etc. If you use disposable fiberglass panel or electrostatic panel filters, you should change them anywhere from once a month to once every three months. Pleated filters generally last from 3 months to 6 months, again, always check your filter monthly, no matter what type filter you use. Filters are relatively inexpensive and easy to change, so there is little reason to wait. If you don’t change or clean your filter often enough the filter can get clogged with dust and other airborne particles, forcing your furnace to work harder to maintain airflow. This will reduce your furnace’s efficiency and can cause damage. It is a temperature-sensitive device that controls and regulates the temperature in a space for systems such as a furnace, air conditioner, or both. When the indoor temperature drops below or rises above the thermostat setting, the device initiates or terminates either the heat or cooling modes, depending upon the thermostat setting and temperature set point. When initiated your furnace or air conditioner runs to warm or cool the house air to the setting you selected for your family’s comfort. What are some types of Thermostats? Most range in price, call and ask us which is best for you. Think thermostats don't matter? Think Again! Thermostats control half of your home's energy use. That is more than appliances, computers, stereos and lighting combined! Indoor air quality (IAQ) is a term which refers to the air quality within and around buildings and structures, especially as it relates to the health and comfort of building occupants. We spend most of our time indoors, so breathing healthy air where we live, work and play is critical. Indoor air pollution has the same negative effects as environmental pollution. Ask us how to identify and restore the indoor air quality in your home or office. What is the difference between UV Air Purifiers and air filtration? Both products are effective at removing harmful elements from the air, but UV Air Purifiers focus on removing airborne germs, bacteria and mold while filtration focuses on removing harmful particulates that become airborne. An anti-fungus filter is used – this catches allergy-causing mites, smoke particles and odors, making the air in your environment clean and fresh. Do UV Air Purifiers produce increased ozone? Depending upon the style/brand of UV light purchased, ozone may or may not be part of the light's operation/function. Should you have concerns, consult one of our factory trained technicians. EPA: According to two studies, operating UV lamps installed in HVAC systems to irradiate the surfaces of air-handling units does not result in increased concentrations of ozone. UV light can be harmful just as the sun’s UV light can be when someone is exposed for too long a time. One should neither look at or touch a UV light bulb while it is on for any length of time. Fortunately, when the UV light system is installed in your HVAC system, there is no direct or harmful exposure to you or your family. Remember to power off your purifier before replacing the lamps and do not look directly at a lamp that is powered on. What maintenance does a UV Air Purifier require? Your UV Air Purifier requires little maintenance. Simply replace the bulb once per year, or once every two years depending on the model. MERV is an acronym that stands for Minimum Efficiency Reporting Value. What is a MERV Rating?MERV Rating is a filter comparison system designed by an industry group called the American Society of Heating, Refrigeration and Air-conditioning Engineers (ASHRAE). Simply put, it’s a rating scale designed to allow consumers to easily compare the performance of one filter to another. Why is there a MERV Rating?It is designed to measure a filter’s ability to capture and hold particles and pollutants. The higher the MERV rating, the more particles – dust mites, pet dander, air allergens, etc – your filter will remove from the air. Of course, screening out more particles from your air makes your air handler work a bit harder, so you may see a modest increase in power consumption by your air conditioning or furnace unit when choosing a higher MERV Rating. How a MERV Rating benefits you?Matching the right MERV rating to your needs will improve your home’s air quality and will extend the life of your furnace or air conditioner. Minimum Efficiency Reporting Value, or MERV for short, is a filter rating system devised by the American Society of Heating, Refrigeration and Air conditioning Engineers (ASHRAE) to standardize and simplify filter efficiency ratings for the public. The higher the MERV rating, the higher the efficiency of the air filter. Simply stated, a MERV 12 filter will remove smaller particles from the air than a MERV 8 filter. For the consumer this means that you now have the ability to effectively compare one filter to another. In general, any MERV 8 or 11 filter will perform about the same as any other MERV 8 or 11 filter, respectively. The MERV rating only applies to efficiency. Additions such as carbon, Lysol anti-bacterial treatment and Arm & Hammer baking soda are value-added benefits and are not an expression of the MERV rating system. If allergies or asthma are your concern, we suggest you choose a MERV 8 filter or higher. What are the life expectancies of filters? Fiberglass filters last up to 30 days. Pleated filters can last up to 90 days. Washable filters should be washed every 30 days and last up to 5 years. Mini-pleated filters should be vacuumed every 60 days and will last up to one year. There is no “standard expectancy” for an air filter. It all depends on each home’s characteristics, how many people live there, if there are pets, if there are smokers, how much air pollution and pollen is in your town, etc… The best way to make sure you are changing your air filter on time is to be proactive and regularly check it monthly. Mark it on your calendar, schedule it in your phone, or put a note on the refrigerator. If several of these factors sound familiar, you’ll likely experience a quicker loading of particles on your filters and will consequently have to change it more often. A good rule of thumb is to check your filter every month. If you can hold the filter up to a light and not see through it, it is time to change your filter. At an absolute minimum, you should change your filter every three months. A clean air filter will also prevent dust and dirt from building up in the system, which could lead to expensive maintenance and utility bills. How do you change a filter? Modern central heating and air conditioning systems generally have the filter located as close to the blower unit as possible. The filter(s) can be located at the base of the air handler/furnace unit, in the cold air return duct located in your ceiling or on your wall. Remove the grill or box cover holding your filter in place. Dispose of the dirty filter in a bag to contain the dirt. Install the new or cleaned and dried air filter with the air flow arrow pointing toward the blower. Record the date and wash or change the filter within the recommended period. If you experience higher dust levels in your home due to changes in outside air, construction or dry weather, you may need to change or wash your filter more frequently than the recommended period. For questions or concerns about the location or installation of the filter contact the HVAC manufacturer or give us a call. As a reputable HVAC contractor we can make recommendations that are right for both you and your system. Why do I need to change my filter? Essentially your air conditioner filter is a collector of dust, dirt, grime and other nasty microscopic things that float around your home. When your heating or cooling system is turned on, it collects these particles to protect your system and clean your home’s air, which protects YOUR lungs. Like the lint trap in your dryer, it accumulates a thick layer of these air borne particles as it circulates air throughout your home. Once it has trapped a certain amount, it becomes full and ineffective and gradually restricts the air flow moving through your system. This requires your system to work harder to keep you cool or warm, wasting energy and increasing your monthly bill. As air filters get dirtier, they also become less effective at capturing the airborne germs and pollutants that can irritate your family’s breathing. Stuffy noses, sneezing, allergies and even asthma are triggered. Your family inhales what your filter can’t handle any longer. An old and forgotten filter can eventually accumulate so much dirt and grime that it can totally choke off the air flow to the system causing a myriad of problems. In the worst case, the filter will be sucked into the blower motor and cause thousands of dollars in damage to your system. How often should I clean the filter? There is no one-size-fits-all answer. The frequency one should clean or change their A/C system's filter is highly dependent on many factors- 1) the type of filter being used, 2) how much traffic the home/office experiences, 3) presence of pets, 4) how much your heating and air conditioning system operates. Always start by checking your system's filter(s) once a month. If your home/office has remote filters in the wall/ceiling, do not forget to check and replace as indicated. For best practice, always follow the filter manufacturer's recommendations for cleaning or replacement. If you are unsure, please ask our trained service technicians. We can help taking care of your new heating and cooling system. Enroll in our Service and Maintenance Program, and our Customer Care Specialists will send a technician to your home when it is time to check the whole system per manufacturer’s guidelines to make sure it is safe to use and performs at peak efficiency and while they are there, they can check, clean and/or replace your filter, if available. You wouldn’t buy a brand-new car and expect to never have to put air in the tires, change the oil and check out any unusual noises, would you? In the same way that an automobile requires periodic maintenance for optimal performance, a home comfort system should be regularly inspected by a qualified technician. The warranty covers parts only. For complete details, refer to the warranty sheet provided with your unit. Your Dealer may also provide a labor warranty or, possibly, an extended warranty for your new equipment. 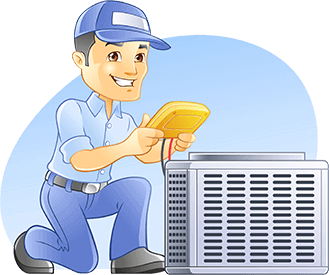 Do You Know Why Professional Air Conditioner Replacement Is Of Fundamental Importance? About Gilbert Home Comfort INC. Some people believe that achieving comfort at home affordability is difficult, if not impossible. But new energy-saving practices can give you complete control over your home while lowering your utility costs. With the help of a seasoned contractor, you’ll be able to live in the home you want at a price you’ll love – no matter the weather!